Duncan - Great Kendama Featuring Double Stripes! 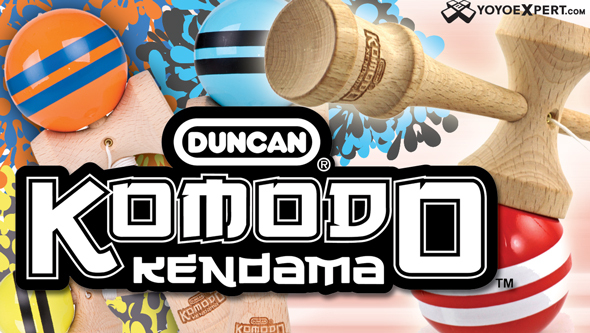 The Komodo Kendama is Duncan's entry into the kendama scene and it is quickly becoming one of our favorites here at YoYoExpert! The Komodo has a classic kendama shape and a great balanced feel in play. Duncan gave the Komodo a very clean and simple look. It is painted in durable, chip resistant paint with added horizontal stripes to help you land those tricky spikes. They even finished it off with the Komodo Kendama logo engraved on the ken that gives it a very cool look. The Komodo Kendama is a solid choice for any kendama player, beginner or expert, looking to try out a new kendama!